Why, it was just a few days ago when we passed along the specs and pricing for Sirin Labs' blockchain phone called the Finney. It will be launched later this year at a price of $999 (although those paying with Sirin's own cryptocurrency get a 10% discount). A new report published today revealed that HTC is also building a Android powered blockchain phone called the HTC Exodus. As we pointed out with the story on the Finney, the blockchain is a peer-to-peer network used to store financial transactions. In fact, it was originally developed expressly for Bitcoin. With blockchain, each transaction gets a new block which is sent out to members of the network. Once these members approve it, the new transaction is added to the "chain" of previous transactions. Blockchain is supposed to be safer than current centralized record keeping, and many are touting it as the wave of the future. 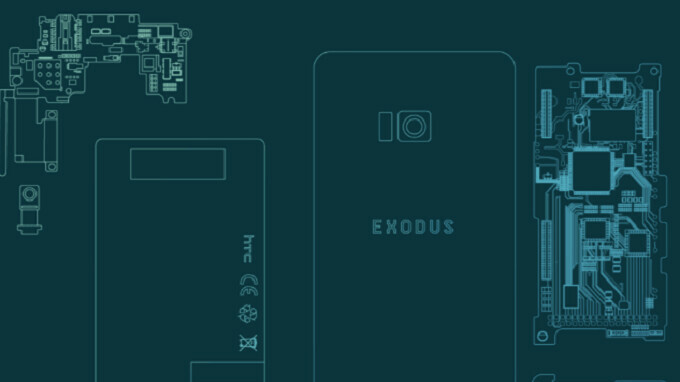 As part of a native blockchain created by HTC, the Exodus will be able to handle cryptocurrency trading among owners of the phone. Like the Finney, the HTC Exodus will feature a cold storage wallet that allows users to store their cryptocurrencies without connecting to the internet, which keeps Bitcoins and other digital currencies safe from prying eyes and grabbing hands. HTC is pinning its blockchain and cryptocurrency hopes on Phil Chen, who was the creator of the company's Vive VR headset. Since many smartphones can already handle much of the cryptocurrency trading experience through the use of software, this could be a very specialized handset that only traders might be interested in. Speaking of cryptocurrency, HTC is thinking about allowing the phone to be purchased using digital currencies. So far, there is no word about when we might see the Exodus, but Sirin's Finney is now expected to launch in October. This is innovative. Maybe HTC might gain profits from another area of consumers. That cryptocurrency is relatively a scam. People who fall for this hidden disaster are the one who are greedy, but lazy and don't want to work. I can't wait for that cheating system to crash, bust and see those idiots full of tears. Lol, I 'tipped' you guys about this back on Saturday or Sunday. Though it was originally billed as the 'HTC genesis phone' according to the coindesk website, which was hosting consensus 2018.